If you need to get a exact definition of Video cassette, a clear line should be drawn between video tape and video cassette. Here, a videotape is a magnetic tape used to record both video images and sound for subsequent playback or broadcasting. And videocassette is a cassette containing blank or recorded videotape. To put it in another way, a videocassette is a cartridge containing videotape. 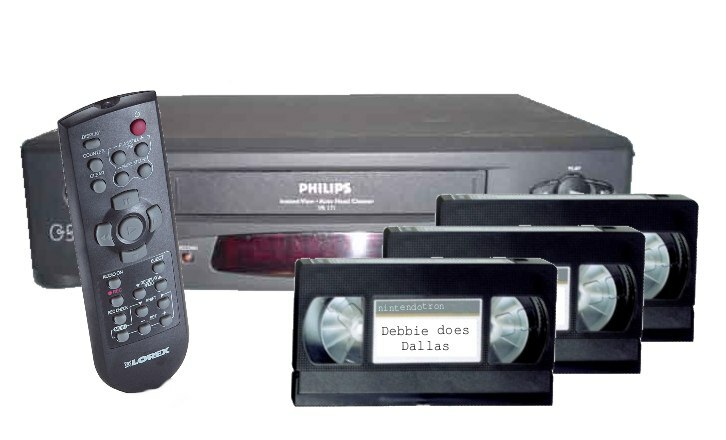 The videocassette recorder, also named as VCR or video recorder is a device used for recording analog audio or video from sources like broadcast on a tape videocassette. With this recorder, you can also play back the recording as needed and wanted. Why to convert video cassette to DVD? For many users, a videocassette recorder is a handy tool for them to preserve precious family videos so as to treasure the valuable memories and cherish the moments spent with their beloved ones. So do you know what formats could be rightly supported by video cassette? The popular formats of video cassette are two: Sony’s Betamax (also known as Betacord or just Beta) and JVC’s VHS(Video Home System). The Betamax cassette was smaller, and had less recording time. After the VHS/Betamax format war during the 1970s and 1980s, VHS format has completely won over Beta. However, in 1997, DVD format was introduced to the public and since then, VHS’s market began to decline. DVD has now substituted VHS as the favorable low-end method of audio and video distribution. More and more users prefer converting their VHS including video cassette to DVD and below are their main motives. - Videocassette players are more difficult to get than a CD or DVD player in most retail stores. Therefore, you will find it troublesome when planing to view the video cassette with your families and friends. - Compared with DVD players, videocassettes hold less storage. You can’t record any audio and video files as desired since in that way you will soon be informed of storage shortage. - The digital DVDs, equipped with advanced technology, are able to work better and faster. - Unlike videocassette, only played by video recorder, DVDs can be played with the DVD reader on a computer, a portable DVD or home DVD player. It is much more convenient. All in all, nowadays videocassettes are basically outdated and replaced by the digital DVDs on a large scale. Therefore, you also highly recommended to convert videocassette to DVD file format, so as to access them easily and enjoy then without any restrictions. To convert video cassette to CD/DVD, you can actually begin it from two aspects: extract videos from cassette and then copy them to DVD. 1. 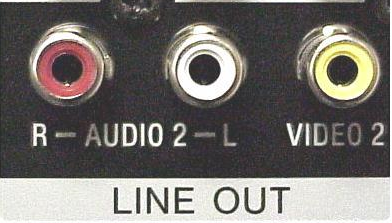 Link the male RCA side of the cable (red and white) to the female RCA connectors on the tape deck. You need to ensue that the RCA jacks on the tape deck say “Line Out” or “Audio Out”. 2. After that, connect the other ends of the cables to your computer. Basically, it’s the blue colored jack that is your Line In for PC computer users. Note: If the RCA cable has both red and white RCA connectors on both ends, you will then need to buy a mini-male to 2 RCA female adapter to help you. 3. Now, open the Audacity software on the computer. Go to Edit > Preferences at the bottom or hit the Audio I/O option in the left-hand menu. 4. Go to a section named as Recording and then enter the section of Device under the drop-down menu. Make sure not to pick the option of Microsoft SoundMapper. Instead, you can try all the other options to get the working one and it should be something similar to “Line-In:Realtek HD Device”. 5. Adjust the volume for your recording. Then click on Monitor or Start Monitoring option to continue the process. 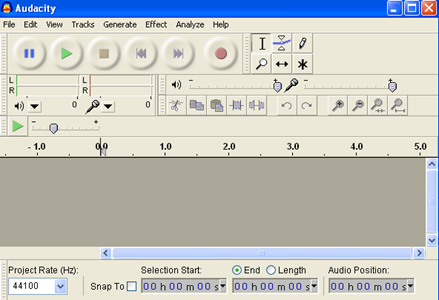 Hit the yellow-colored button of Stop to complete the recording whenever you want to finish the recording. 6. Go to File > Export As. You are then free to export the videocassette to computer as WAV, AIFF, OGG, FLAC, and MP2 formats as desired. 1. After downloading the software on the computer, open it. 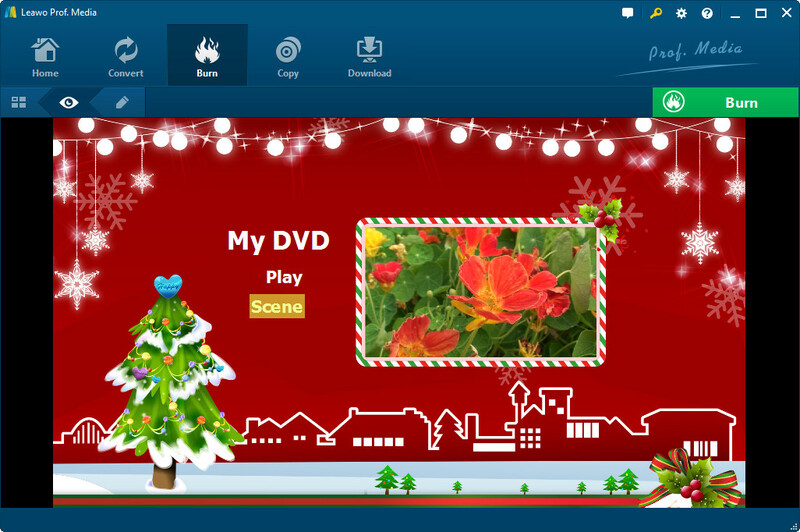 On the homepage, choose the DVD Creator section or tap on the Burn option to continue. 2. Hit the Add Video option. Here, you could load multiple video files or video folders as you like. You can then set the output disc type, quality and aspect ratio as liked by changing the settings at the bottom. Note: For loaded videos, you can move the exact one and the icon of a pencil will appear on the top right corner. By clicking it, you can edit the videos as needed like trimming the video, adding watermark and etc. 3. Set the disc menu on the right bar. Any disc menu theme under the Built-in menu can be selected. Or, you can open the Online tab to download more templates as liked. The custom tab would collect all disc menu templates you’ve customized with the internal disc menu designer. 4. Choose the wanted template and then hit the eye-shape icon at the bottom to enter the preview panel. 5. Then hit the Pencil icon to edit more detailed information, including text font, size, color, type, background music and many more. 6. After finishing the editing process, hit the big green icon of Burn to go on. Then, on the sidebar, you need to set the Burn to, Disc Label and Save to boxes. Finally, hit the Burn option again to begin the cassette to DVD conversion. The process will be finished within a little while. Done! Now, you have successfully converted videocassette to DVD and you can freely enjoy DVD files as liked. So are you still searching for a way to copy videocassette to DVD? Just follow this professional guide and you will know how easy it is!